Put E-ONE’s buying power to work for you. Make E-ONE your one stop shop for all your fire service parts. We are a full line dealer for all major industry suppliers and staffed to provide all your fire service needs for parts and equipment. Whether you need OEM parts for your E-ONE or Saulsbury truck, or vendor parts for any fire appartus, we supply it all! Monthly specials and customer discounts available. 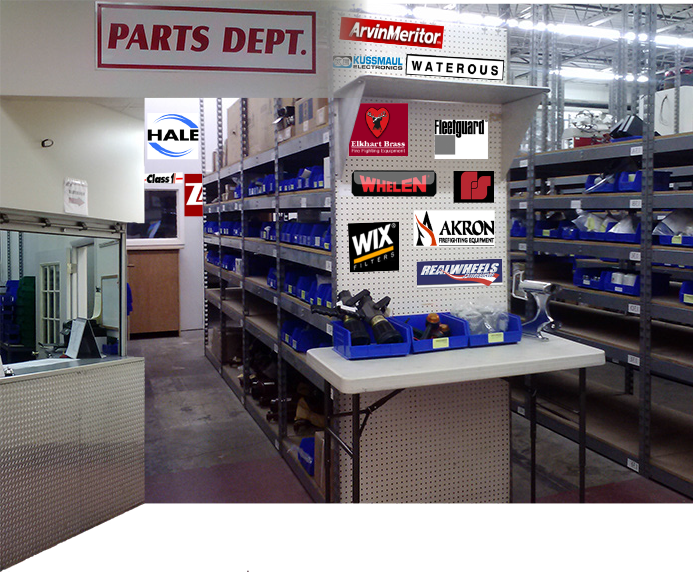 For more information please contact our Parts specialist Jeff Herrmann.